Gold Coast Healing Rooms is a confidential, safe place for all people to come and receive one on one prayer to the only True, Creator God. goldcoasthealingrooms.org has been redirected to breakfreetoday.org website. 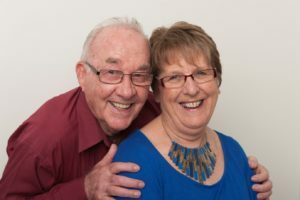 Both have been produced by the Directors of Gold Coast Healing Rooms, Bill and Wilma Watson. Bill and Wilma were missionaries in Ethiopia where they saw many answers to prayer. After returning back to Australia they taught thousands nationally and internationally on prayer. Bill and Wilma have been involved in pastoral care and praying for people for many years. They have a loving, caring ministry and whatever your need is, they will make you feel welcome, and though prayer help you get your breakthrough. Click here to learn more about their journey. Claire tells what God did for her at the Gold Coast Healing Rooms: “I’m tired of feeling tired. I’m tired of the stress of juggling money, marriage, parenting, home-making, and a career all at the same time. The more I stress, the worse I feel. In fact I’m sick and tired of being sick and tired! “Sorry for being so negative, but I’m just telling you how I feel,” I explained. Those at the Gold Coast Healing Rooms were very understanding. They listened, so I went on. It hasn’t always been like that. Life was good! I had what most Australians dream of – a wonderful husband, two healthy, intelligent children, a dream home and a good job. Last year though we made a bad financial decision and my world came tumbling down. We lost our home and the stress of it all has affected my health. I was shown how I could be affected emotionally and physically by not releasing myself and the one who hurt me in forgiveness. I was amazed; the pain in my body went as soon as I forgave myself and the person who stole our money! It was explained to me that stress is like carrying a heavy load around all the time. I had to release the load and give it to God. I had to release my finances, husband, children, and job over to God for him to help me. Can you relate to this lady’s stress? God wants to take your stressful, heavy load and help you too! Gold Coast Healing Rooms: Bill and Wilma are taking a well deserved break and will not be available during September and October. Samantha Bond on 0468 314 499 from the Burleigh Healing Rooms will be able to assist you during this time.